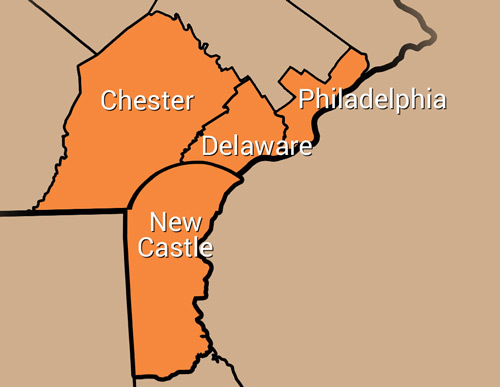 Mr. Tree’s fast, reliable, and safe services are available throughout Chester, Delaware, and New Castle Counties. Our services begin with a free quote. A homeowner in Kennett Square recently contacted us to remove a tree that was threatening to fall on their home. In order to safely remove this tree, we used a crane to help us keep it under control. If you need a tree service–like removal, trimming, emergency services, lot clearing, or stump grinding–give us a call at (484) 999-0040 or fill out our online form for a free quote.